This black leather clutch is the perfect fit for those on the go! 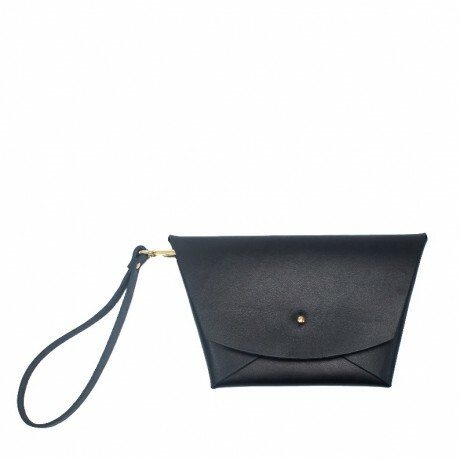 Features a clip-on leather wristlet and solid brass button stud closure. 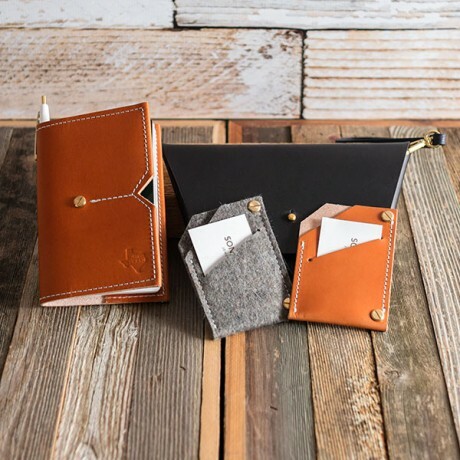 Handmade by Son of a Sailor in Austin, TX. 9” across top, 5” height and wristlet length is 7 ¾”.